Like the other games Yoko Taro directed, Nier Automata has some peculiar features that haven’t been seen in any other game. 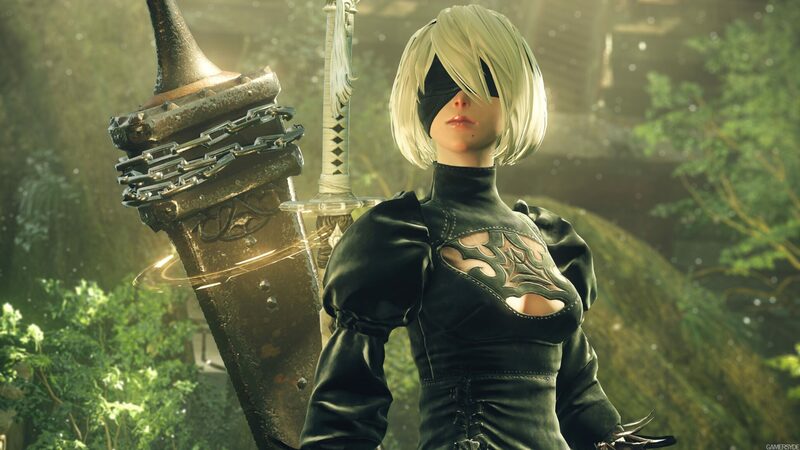 While it seems like some of these features have been included just for the sake of it, it seems like there is a precise reason why Yoko Taro implemented them. Speaking with Siliconera about the Nier Automata’s final ending (watch out for spoilers if you haven’t seen all the endings), Yoko Taro revealed the real reason why he included the save deleting at the end of both Nier games. Yoko Taro has come to accept that experiencing video games has changed a lot in recent years, with some experiencing them through streaming and YouTube videos, but he still wanted something that could be experienced only by those who invested a lot of time into the game. When I was developing the original NieR, that was when a lot of people were starting to post their gameplay videos on YouTube, and that was gaining a lot of popularity at the time. It became a slight issue, at least least in Japan, because a lot of people were experiencing games just by viewing them. I am accepting of this. I understand that, as technology evolves, there are going to be new ways people enjoy different mediums. That said, for people who are paying full price for a particular game, if they’re experiencing the same thing as someone who’s just watching it on YouTube, I don’t feel that is quite right. So, I believe this particular experience is a special experience that only people who play through the game are going to really understand. I believe that it adds value to the player’s experience. This is something that people who are just watching won’t quite understand to the same degree as people who have spent time and played through the game. So, that was one of the reasons why I included this kind of deletion of save data into the entire structure. I wanted something that could only be experienced by a player who invested so much time into playing the game. In the same interview, Yoko Taro discussed what led him to create a happy ending for Nier Automata. As expected, Taro didn’t really plan for it, but eventually, he found out that the characters’ journey through the game led to its creation. I believe that E was essentially the happy ending. This is the first time I’ve taken on this kind of challenge. I actually didn’t come up with the happy ending initially when creating and developing this game. I kind of left that off to the side for a very long time and continued to work on some of the other aspects of the game. As I developed all of the characters’ journeys, I started thinking about what would be the most fitting ending for all of those characters, and that resulted in the E ending. It’s not something that I desired, but I believe, in the world of writing, the characters move toward that ending themselves, and they directed me to write toward that end. In the end, it’s probably what the characters had hoped for – what they would have desired. Nier Automata is now available on PC and PlayStation 4. You can learn more about one of the best action role-playing games released this year by reading our own review.